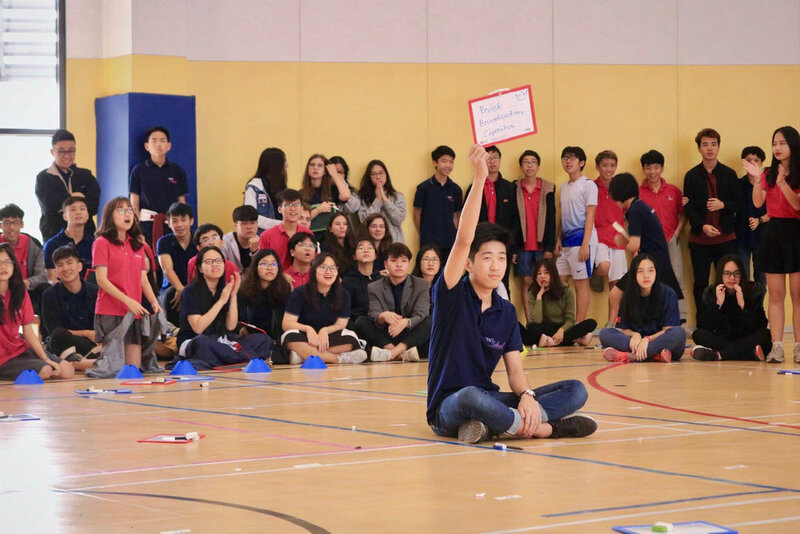 These activities were also designed to reflect the spirit of the TH student body: intelligent, creative, witty and playful. Each homeroom meticulously prepared creative and colorful designs for Monday's Easter Egg basket decorating challenge. Tuesday everyone dressed for the tropics, and on Wednesday students took on tough trivia questions in the Golden Bell Challenge. For Thursday's Wacky Tacky dress day, students and teachers put together eccentric outfits and strutted down the catwalk for the crowds. And students got a head start on the weekend with Friday's pajama day. Let's look back at some highlights of a lively Spirit Week!